OMG Posters! » Archive New Art Prints and a Concert Poster by Kevin Tong (Onsale Info) - OMG Posters! 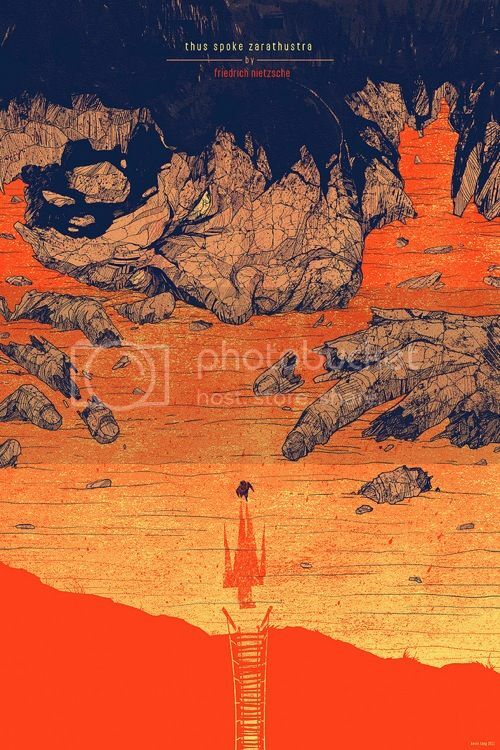 Kevin Tong will release some stunning new prints today. I’ve listed all of the info below. These go up today (Wednesday, April 20th) at a random time. Visit TragicSunshine.com. 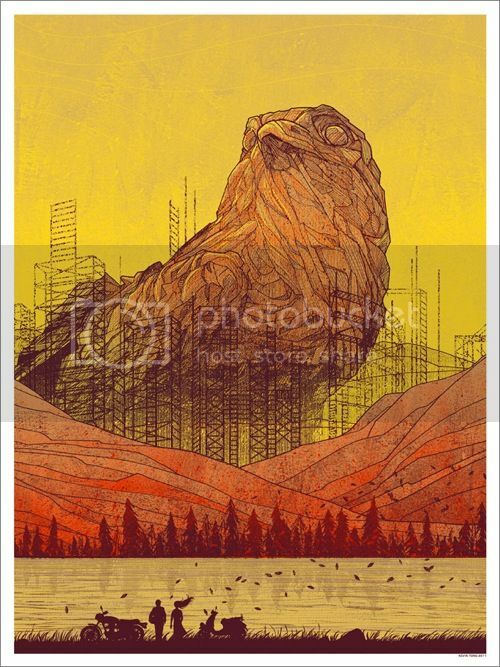 anyone know what time his prints typically go on sale? Usually that Tong clown puts his prints up for sale after he gets out of bed, goes across the street to get coffee, goes back to bed, wakes up again, showers, checks his emails, gets another cup of coffee, strongly considers going back to bed, and then starts coding his site to add the items. Nice. The Required Reading print will be under “various,” right? Yes. All the info is on the my blog linked in this post. Please return to OMG posters immediately after going to my blog and visit the pages of the sponsors on the right. +1 on the Zarathustra…got sold out of the appleseed matched set due to out-of-date paypal info. Thanks for the info Kevin the Zarathustra will go well with the Bad Dads on wood I recently ordered from you as well. Thanks for the great work. I got my order in for Thus Spoke Zarathustra – so excited! I missed out on the original sale through 1988; glad I got a second chance. I just bought my first house, and this will be my first official purchase for it. Aw, special. woah. those sets went quick. Can’t wait to see it in the flesh, great work Kevin! +1 Zarathustra for me – Thanks to the really cool Mr Kevin Tong 🙂 If there was a bowing smiley icon it would be here! After seeing this one, Moon and Linch Pin Droid in person, I have decided that I like it when Tong does 24×36. Dylansdad I couldn’t agree more. Kevin’s work is best appreciated at larger sizes. His line work is outstanding.